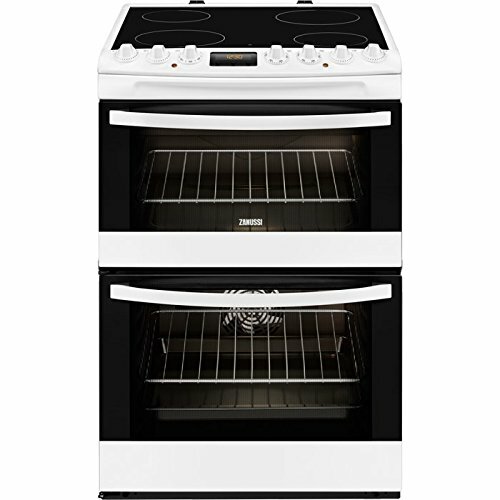 This Zanussi ZCV68310WA double electric oven would be a stylish addition to any kitchen. With a main oven with a capacity of 74l and a top oven\/grill with a capacity of 37l, there is plenty of room for your catering needs. The double ovens are topped off with a neat ceramic glass 4 burner zone hob, with 2 different sizes along with a residual heat indicator. Catalytic liners in the oven cavities make cleaning this appliance easy and stress-free.